A passport is required for entry to Bermuda and new rules state that your passport must for valid for at least six months from date of entry. Make sure your passport is valid until December 22, 2015. 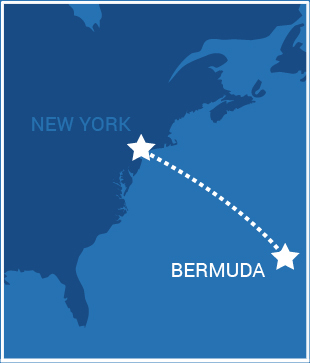 Bermuda is located off the coast of North Carolina and is less than a two hour flight from New York. There is daily scheduled commercial flights to and from Toronto, Boston, New York, Newark, Philadelphia, Miami, Baltimore, Washington, D.C. and Atlanta. There is also daily service to and from London. Bermuda is one hour ahead of New York (EST), two hours ahead of Chicago, four hours behind London. 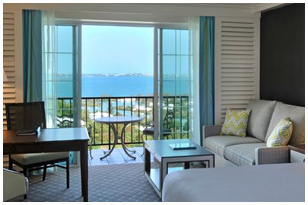 The Global Fund Forum is offering free shuttles between the Bermuda airport and the Fairmont Southampton. We have secured a number of rooms for Global Fund Forum attendees at a discounted rate. You may also book your room over the phone by calling 1-800-441-1414 and requesting the 'Global Fund Forum 2019' room block. Bermuda is an amazing place to visit and there is something do for everyone, on business or not. You can explore the historical St. Georges and the Dockyard, or be adventurous and go going scuba diving and visit the Crystal Caves. There is a gorgeous 18 hole golf course on the property of the hotel and the world famous, pink sand of Horseshoe Beach at its foot. The Fairmont Southampton also has its own private beach offering a wide range of water sports. 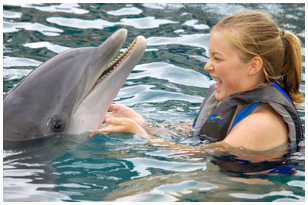 Dolphin Quest is on island and gives families the thrill of interacting with dolphins. Scooters are a common mode of travel on the island and can be rented at the hotel. Visit www.gotobermuda.com for inspiration.